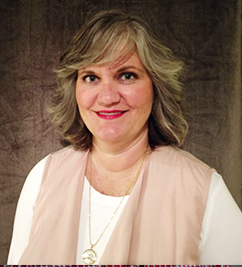 Terri Mossgrove is a career educator who has taught at a variety of levels including preschool, elementary, high school, adult literacy, English for Academic Purposes (EAP), Teacher Preparation, and Professional Development (PD). The focus of her teaching is in the area of literacy and language learning with a commitment to creating equitable educational opportunities for diverse student populations. She earned both her Bachelor’s Degree of Science in Elementary Education and her Master’s Degree of Arts in Applied Linguistics from the University of South Florida (USF), Tampa. She also earned an Education Specialist Degree in English as a Second Language from Northcentral University, Arizona. Currently, she is a doctoral candidate in Educational Leadership and Policy Studies at USF. Her professional education certifications are in Elementary Education, English Education, and English Speakers of Other Languages (ESOL). Additionally, she has an endorsement in Reading. At WIDA, she is focused on facilitating Professional Learning (PL) that is meaningful and relevant for teachers and their students.